Bristol Hospice provides end of life care, and volunteers are integral parts of the teams that care for each patient. You can be a companion and friend for a patient on hospice. Hospice volunteers can also work in the agency office doing various support projects. Your volunteer time is flexible and valued! When you are a part of the Bristol Volunteer Team, you receive training, support, a network of fellow volunteers and staff, and the knowledge that you have comforted someone on their final journey. 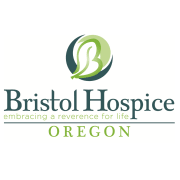 At Bristol, we care deeply about our community and those we serve. We are actively seeking volunteers and Veteran volunteers for our Vet to Vet volunteer program. If this sounds like what you're looking for, get in touch! We can't wait to meet you.